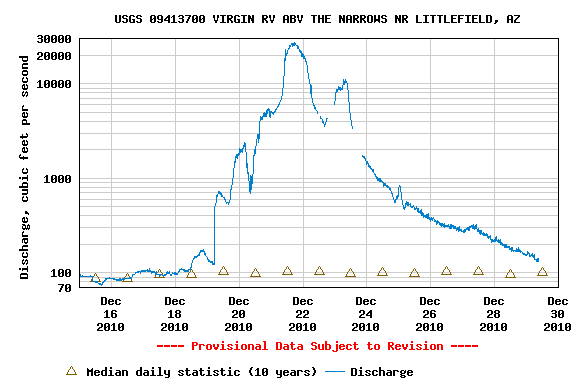 The USGS stream gage on the Virgin River near Littlefield, Arizona peaked at about 27,000 cfs on Dec. 20, up from its typical flow of about 100 cfs. That explains the damage and destruction of homes along Beaver Dam Wash. There are a couple dozen videos on YouTube of flooding on the Virgin nearby around St. George, Utah. Thanks to John Fleck at Inkstain for posting the graph. He talks about the water flow into Lake Mead as well. I'm sure there are many others that I'm forgetting. I plan on listing the Arizona geo-themes for 2010 in a separate post. The big geo-stories of the past year in Arizona were dominated not surprisingly by mining, water, and natural disasters. The price of copper is up nearly 30% this year, bringing new mines, renewed activity at existing mines, company profits, jobs, and tax revenues but concerns over environmental impacts. Controversies continue over the proposed Resolution and Rosemont copper mines. The Florence in situ mine was readying for operation in 2011. 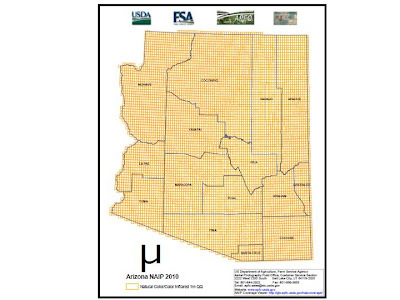 A USGS report on uranium in northern Arizona assuaged some concerns about renewed mining, or not. [see below]. 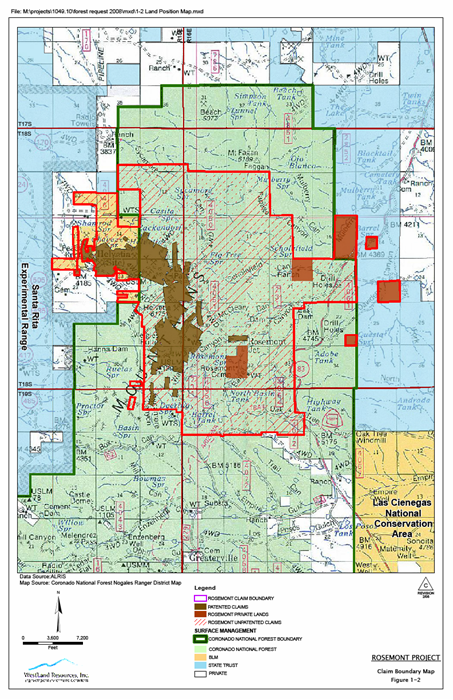 The BLM's EIS on 1 million acres of federal lands churned on at year end. Gold mining is returning to the Copperstone mine near Quartzite, and companies are exploring for potash, lithium, and other hot commodities. While miners seemed optimistic, water managers had little good news during the year. Lake Mead was at an all time low, and forecasts are for continued drought. The Havasupai Tribe became the first tribal group in Arizona to successfully seek federal disaster assistance on their own, with a promise of $1.6 million to repair damage from repeated flooding in October. In Flagstaff, the Schultz fire led to flooding and debris flows that blindsided county officials and residents. Will this be a teachable moment for Arizonas about sheet flow and alluvial fan flooding? The El Mayor -Cucapah earthquake in Baja at Easter shook up areas across southern California and the Yuma region. As we've seen repeatedly for 125 years, you don't have to have earthquakes in Arizona to cause damage here. And just last week, 7 houses were destroyed by flooding along Beaver Dam Wash and many more damaged. 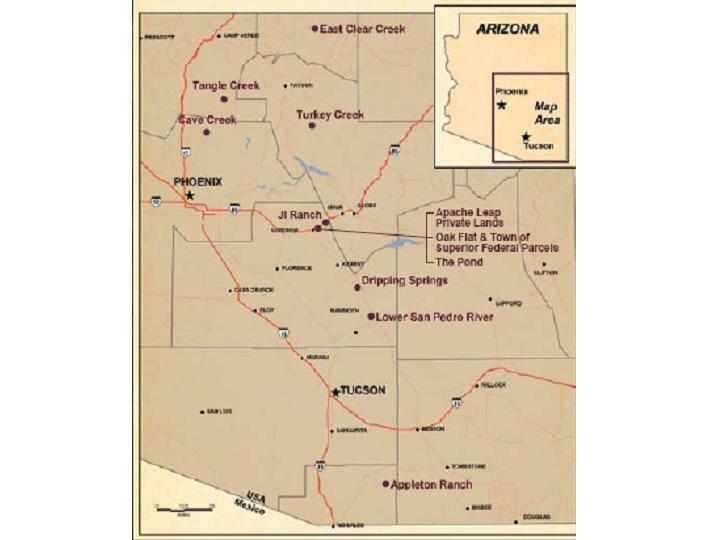 Flagstaff wants to import groundwater from near Navajo and Hopi lands (at Red Gap Ranch), and doing so would require tribal approval for a pipeline. 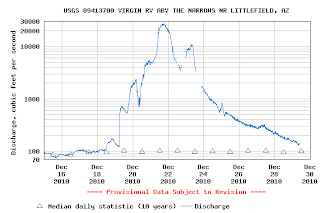 -- Past uranium mining in the region left most waterways (streams, creeks) downstream clean enough to drink, the U.S. Geological Survey found in research released in February. Environmentalists see the opposite: The mining had a detectable footprint, they assert. 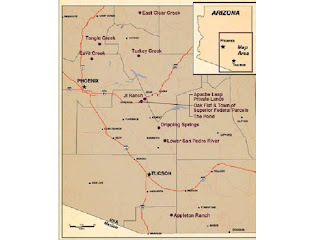 One mine on the Arizona Strip (north of Grand Canyon) reopened last December, and two more are planned to reopen, with legal and administrative appeals almost a certainty. -- Researchers found that a March 2008 flood in the Grand Canyon rebuilt sandbars, but that they didn't last. The majority of the sediment that once went down the Colorado River remains behind Glen Canyon Dam. How to build beaches is something of a hot issue because they have been shrinking in recent years, and vegetation has been spreading over much of what remains, making camping less available for boaters and backpackers. -- The local White Vulcan pumice mine on the eastern flanks of the San Francisco Peaks is closing 10 years after it received a $1 million federal buyout. It once boomed in the stone-washed-jeans era. -- The area burned in the 15,000-acre Schultz fire may re-open to the public next summer. I got a note today that the Ricardo Presnell Memorial Scholarship Fund at the University of Utah has grown to over $245,000 since it's inception last February. This caught me by surprise and is amazing! Ricardo was a geologist, a long time friend and former housemate, and someone who was loved by everyone who knew him. 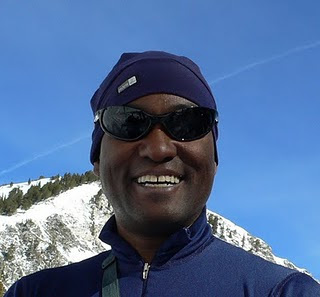 He died in January in an avalanche while back-country skiing in the Wasatch Range. The note from Kip Solomon at the UU Dept. of Geology & Geophysics summed it up when he said the continuing contributions cause us to reflect on just how much Ricardo meant to so many people. This blog is mainly focused on topics about Arizona geology and the geoscience community here but occasionally I touch on some things outside that. So, as we all reflect on events of the past year, this news gave me a renewed sense that regardless of how bad things may be, we're all in it together and we'll press forward together. Via con dios, buddy. 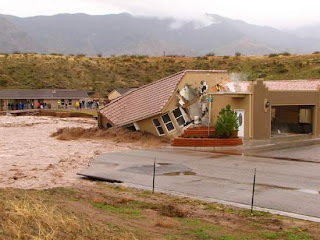 Mohave County reports flooding in northwest Arizona along Beaver Dam Wash, destroyed or rendered uninhabitable at least seven homes. They say 10 residences sustained minimal damage, and another 140 homes suffered temporary loss of water or wastewater service, but that is not enough to trigger federal disaster funds. Mohave County officials toured the area yesterday to assess damage. The new issue of Geology has a cover article on mantle variations below the Colorado Plateau. Authors Ryan Crow, et al, found evident that suggests "a process by which upwelling asthenosphere is progressively infiltrating and replacing lithospheric mantle, especially where Proterozoic boundaries exist." "These data support models that ongoing uplift of the edges of the Colorado Plateau is driven by mantle processes" and thus can explain the velocity differences inboard of the Plateau margins. The new economy based on alternative energy will require a lot of copper [right, credit Freeport McMoRan]. So, between that and the recovering economy, copper prices today hit their all time high on the New York exchange for a second day in a row, reaching over $4.30 per pound before closing down only slightly. This year copper prices are up 29%. Some analysts are predicting the price to surpass $5 this year or next. Opponents of the Rosemont copper mine in the Santa Rita Mountains of southern Arizona today called on the U.S. Forest Service to throw out the current EIS process and start over from the beginning, which in my estimate would delay a decision on the project by an additional 2-3 years. Three groups, Save the Scenic Santa Ritas, the Center for Biological Diversity (CBD), and Farmers Investment Co., argue in a letter to the USFS that "Rosemont or Rosemont Copper’s representatives attended at least 18 of 23 cooperating agency meetings between April 1, 2009 and July 15, 2010," and that the Forest Service met with Rosemont on other occasions without inviting their groups. "The Federal Advisory Committee Act (FACA) applies whenever a federal agency official establishes, manages, or controls a committee, board, or similar group for the purpose of obtaining consensus advice or recommendations on issues or policies within the agency official’s responsibility. Meetings among representatives of governmental entities, however, are exempt from the requirements of FACA when they involve intergovernmental activities associated with managing or implementing federal programs (2 U.S.C. 1534(b))." But my reading of the opponents letter is that they believe the Forest Service violated the terms of the exemption by allowing Rosemont to be present at the meetings where the cooperating agencies discussed the EIS. My experience is that getting approval for appointments under FACA can take a year or longer, although that might not be the case when it's only government agencies involved. Starting the EIS over would add another one to two years to the process. Just last week the Forest Service announced that the release of the draft EIS would be delayed beyond the scheduled year end date, with no new target date announced. 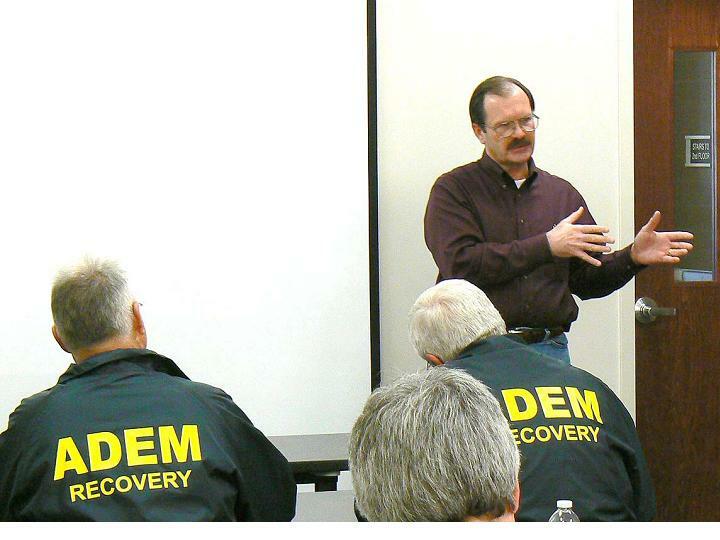 AZGS geologist Brian Gootee continues to work with the Tribe to assess damages and develop recovery and mitigation plans. ADOT is warning motorists to watch for rocks on I-15 in the Littlefield area. 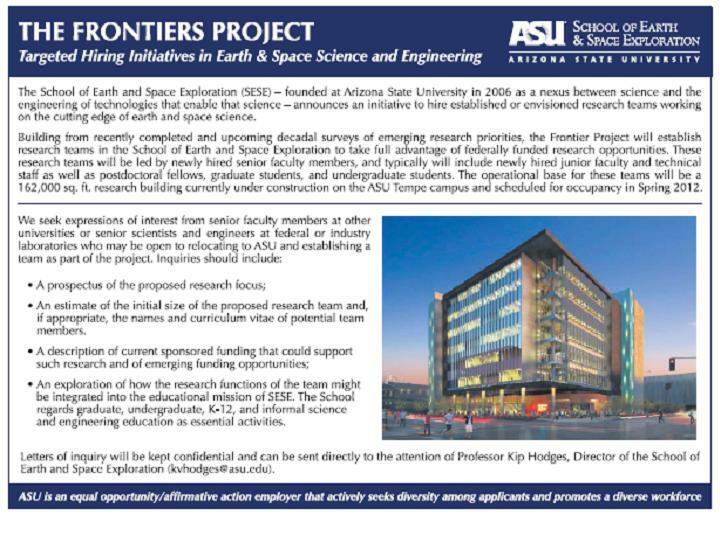 The school is seeking senior faculty members at other universities or senior scientists and engineers at federal or industry who would be interested in relocating to the Tempe campus of ASU, bringing their research teams and programs with them. The plan is to move these groups into the new research building under construction. SESE Director Kip Hodges told me the other day that the building is actually 3 months ahead of schedule and they could begin moving in next summer. This is a bold move - but what better time to make strategic investments to attract major talent when there are such tough times at schools or labs around the country. My best lunar solstice eclipse, ever! The gods were relatively kind last night. The low clouds around Tucson moved quickly so that the lunar eclipse was only obscured for a few minutes at a time. One highlight for me was the minutes just before total eclipse when the moon was a blend of reds, browns, and tans with the last solar-lit arc forming a bright cap along the rim. The moon looked more like Mars, with a gleaming ice cap. When the sunlight came in from the other side, the colors faded quickly, so it felt like moving from color to black and white. For us in the Tucson Mountains, it was mild night, with few lights, and the voices of neighbors carried lightly among the hills. Nice way to mark the solstice. 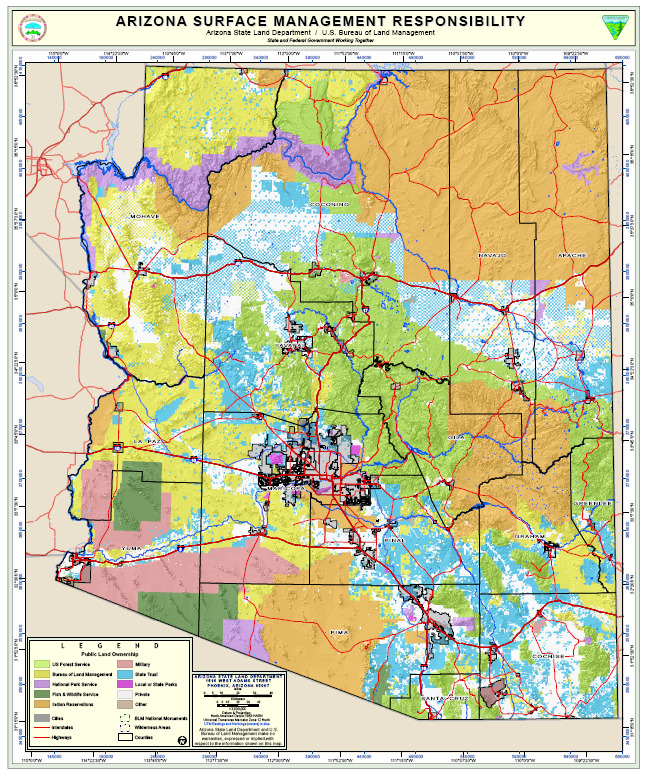 New high-resolution statewide aerial photo coverage of Arizona TIF files are complete and ready to begin redistribution across the State, according to word this afternoon from Anthony Maslowicz at the Arizona State Land Dept. 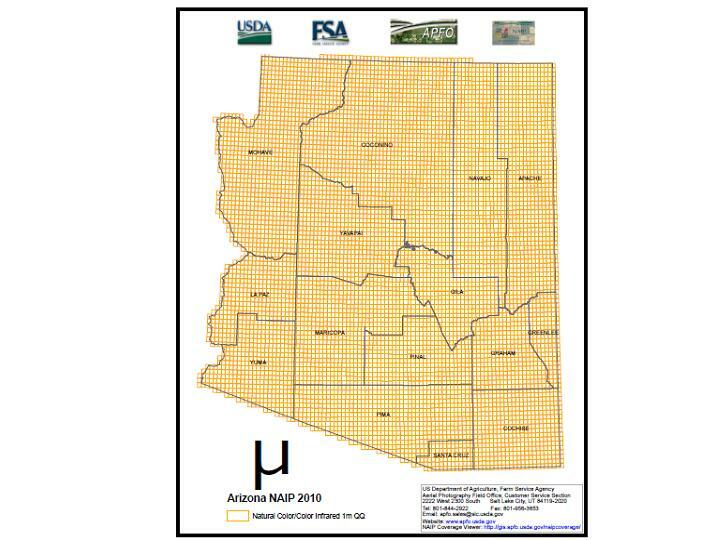 The National Agriculture Imagery Program (NAIP 2010) photos have been eagerly anticipated by a wide variety of government and industry users. 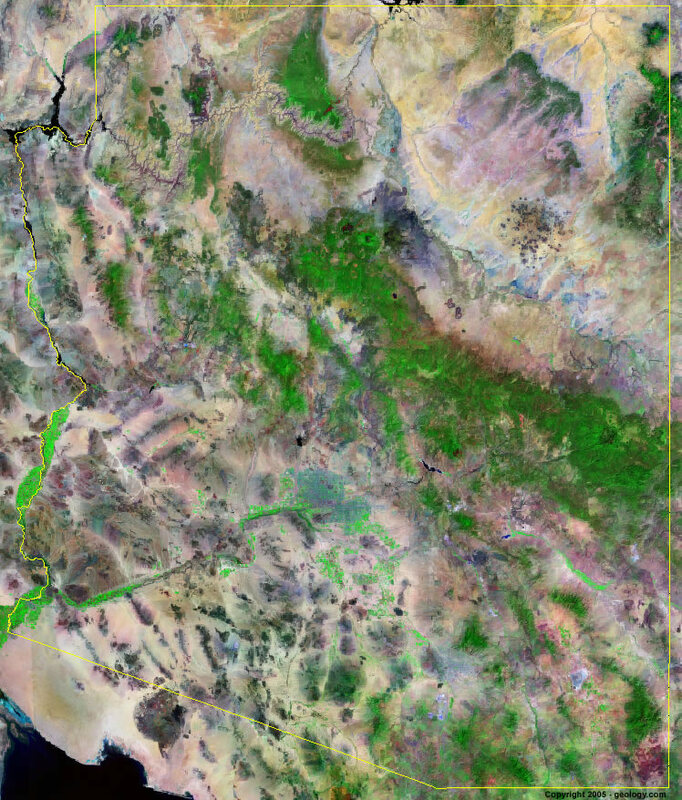 Thanks to Keith Larson and to Tom Sturm at USGS for helping facilitate getting the images delivered to the Arizona Land Resource Information System (ALRIS). 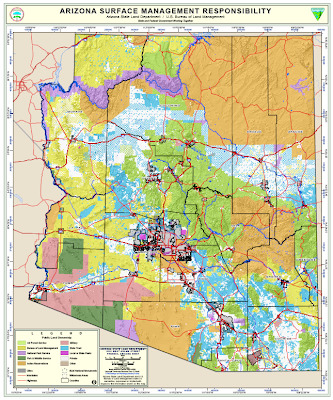 A number of historical USGS topo maps of Arizona are now online at the University of Texas Library for viewing or downloading. 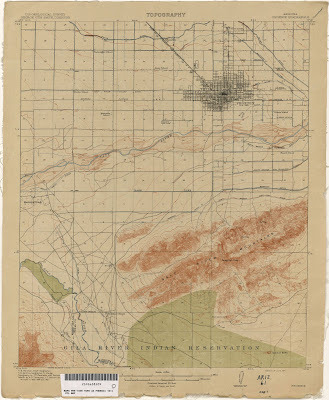 [right, Phoenix, 1:24,000, 1914] These are part of the Perry-Castañeda Library Map Collection. The Arizona set includes pre-1945 maps, at scales of 1:62,500, 1:125,000, 1:250,000 and special sheets (1:12,000, 1:24,000, and 1:48,000). Thanks to our student intern Leah for spotting this resource. The national news media is starting to report on the total lunar eclipse on the winter solstice but I haven't seen anything in the Arizona news. [right, areas where the eclipse will be visible. Credit: F. Espenak, NASA/GSFC] However, for us in the earlier time zone of Arizona, most of the eclipse will take place on Dec. 20. "The eclipse begins on Tuesday morning, Dec. 21st, at 1:33 am EST [Monday, Dec. 20th, at 11:33 pm MST for us in Arizona]. At that time, Earth's shadow will appear as a dark-red bite at the edge of the lunar disk. It takes about an hour for the "bite" to expand and swallow the entire Moon. Totality commences at 02:41 am EST [12:41 pm MST] and lasts for 72 minutes. As I sit here at the San Francisco airport, in the third hour of a five-hour wait for my plane home to Tucson, I can finally take a deep breath after five days of the AGU mega-meeting. Our poster presentation (on the Geoscience Information Network deployment for the National Geothermal Data System) wrapped up at 5pm today, 30 minutes later than scheduled, because of the almost non-stop queries all afternoon. That's been the tone of the whole meeting. The final registration ended up somewhere over 19,000 attendees. I feel like we must have talked to half of them sometime this week. I did get to listen to almost half dozen talks and saw a few dozen posters. But mostly it was networking in a 'speed dating' style. Monday through Wednesday was a lot of working groups and scheduled meetings. But between each one and the last two days, we would walk 20 feet and run into someone else that resulted in an extended conversation about what we're doing and how we can partner or leverage each others work, or discuss one of the jobs we have open, or hook up some of our collaborators who don't know each other. Are we willing to get the Geoscience Markup Language (GeoSciML) certified as an Open Geospatial Consortium (OGC) standard? Could the Australian innovation for geothermal-powered air conditioning work in Arizona? How do we incorporate Oak Ridge National Lab's work on the Mercury informatics system for metadata creation in our data network? 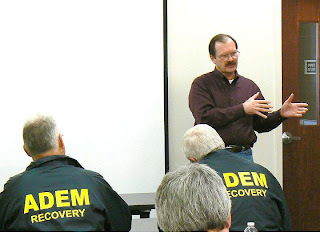 What have I learned in hosting this blog that could help other government agencies set up their own? The list of topics goes on and on. Steve Richard and I need to compare notes but I guess we have at least a couple dozen action items to follow up with. And I expect an equal number of follow-up messages from others about additional topics. So, five hours with a power source and free wifi at the airport is time to blog a few items and answer some of the emails that piled up all week. Did I mention we also submitted a funding proposal today that we wrote mostly in the editors resources room at the meeting? 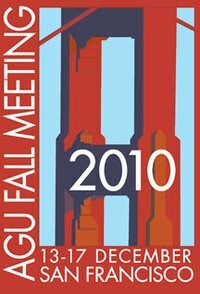 Thanks, AGU, for letting me hide out there for those cram sessions. 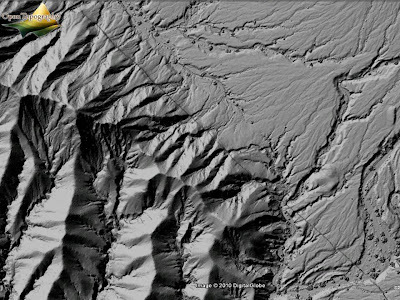 New lidar images made public this week at the AGU meeting in San Francisco offers spectacular views of fault offset and scarps from last April's El Mayor - Cucapah earthquake in Baja California, Mexico. One of Chris' suggestions - view the area just north of the highway in the northwest part of the data set. And use the 315 degree sun angle for viewing rather than the 45 degree. The scarps are much more prominent. 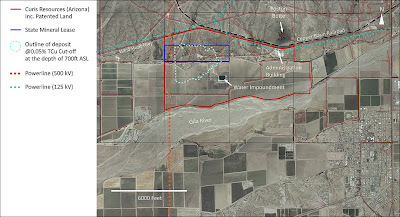 Acknowledgement: "These data cover the El Mayor-Cucapah earthquake (4 April 2010) rupture belt and nearby portions of the Laguna Salada fault, Sierras La Cucupa and El Mayor, and Colorado River Delta. They were gathered by the National Center for Airborne Laser Mapping at the request of Michael Oskin (UC Davis) and Ramon Arrowsmith (Arizona State University) in collaboration with Alejandro Hinojosa and John Fletcher of CICESE. The acquisition of these data was supported by a RAPID grant from the National Science Foundation's EarthScope Program and Office of International Science and Education, with additional support from the Southern California Earthquake Center." The U.S. Energy and Interior departments proposed 677,400 acres of BLM land today in 6 states including Arizona for "Solar Energy Zones." A draft environmental impact statement (DPEIS) released today will have a 90 day public comments period beginning February 2, 2011. The Arizona chapter in the document runs over 1,000 pages. The press release stated, "Under the study‟s Preferred Alternative, the BLM would establish a new Solar Energy Program that would standardize and streamline the authorization process and establish mandatory design features for solar energy development on BLM lands. "Under this proposal, the BLM would establish Solar Energy Zones (SEZ‟s) within the lands available for solar development right of way applications. These are areas that have been identified as most appropriate for development, containing the highest solar energy potential and fewest environmental and resource conflicts. The Solar Energy Zones would provide directed, landscape-scale planning for future solar projects and allow for a more efficient permitting and siting process." "About 22 million acres of BLM-administered lands would be available for right of way applications for solar development under the Preferred Alternative" in the DPEIS. 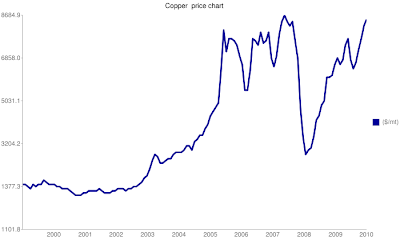 Bank of America - Merrill Lynch predicts copper will average $11,250 per tonne in 2011, or $5.11 per pound. It closed today at $4.13. In 2009, the value of copper produced in Arizona was $4.2 billion, down 39% from 2008 due to the collapse in price. The price has recovered and is hitting new highs lately. The state Court of Appeals yesterday granted a stay through next June on a ruling that would have taken away the source of 80% of the Arizona State Land Dept's funding. If the appeal had failed, State Land Commissioner Maria Baier warned of layoffs for 90% of agency staff by year end. In a story in the Capitol Times, both sides in the lawsuit expressed pleasure with the court decision, saying it give the Legislature and the Court time to work out the problem, while allowing the department to continue to manage the state's trust lands. Steve Richard and I have been at the American Geophysical Union meeting in San Francisco since Monday but we’ve been running from one meeting to another with hardly a minute to catch our breaths. We have a poster on Friday afternoon about the state geological survey geothermal data project (we’ll put up a pdf of the poster on the project website – www.geothermaldata.org next week). The number of attendees is reportedly in the 19,000 range. But in the meantime there is just a blizzard of things we’re doing. On Monday, Dan Fay, Yan Xu and their team at Microsoft Research invited a half dozen of us to dinner to brainstorm ways to take advantage of a new “environmental informatics framework” initiative the group just launched. It’s building on the Open Data protocol which I’m still trying to comprehend. It’s much more than what I understand as a simple protocol. Steve and Tim Ahearn from the IRIS Data Management Center spent some time at the MSR booth with their developers. Within 15 minutes of accessing the IRIS database of earthquake locations, the guys had a functioning web service that could view the quake data in Excel spreadsheets to view in World Wide Telescope-Earth which is their emerging visualization package. O-Data as its called, looks powerful addition to the developers toolbox we are assembling for our data network but it’s going to take us a while to understand it fits with the other components. We met with Leila Gonzales and Chris Keane from AGI yesterday to plan a one-day workshop at next fall’s GSA meeting in Minneapolis. The idea is to train geologists how to use GeoSciML for digital data integration with hands-on use cases. We hope to then make this an online course in partnership with the Young Earth Science (YES) network to help engage the next generation of IT-savvy geologists worldwide. State Land Commissioner Maria Baier sent a letter out yesterday to beneficiaries and clients of the agency warning that unless the Arizona Court of Appeals rules in the departments favor on December 15, they expect to reduce staff levels from 115 full time and 5 part time employees to 14 full time employees by December 31. The department administers state trust lands [right, in light blue] on behalf of the school children and other beneficiaries in Arizona. The Legislature cut state funding for operation of the department, replacing it with revenues from the trust lands. A lawsuit by representatives of beneficiaries sued, and the funding plan was overturned. However, the State did not replace those funds. Copper closed at $4.10 a pound in New York today, a record close, on news of Chinese imports of the metal. Analysts have been talking about prices of $4.50 in 2011 and perhaps reaching $5 by 2013 due to surging global demand. 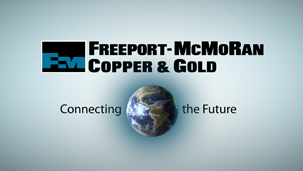 Phoenix-based Freeport McMoRan Copper & Gold declared a 2 for 1 stock split and will give shareholders a special dividend of $1 per share, at a cost of about $471 million. The company has been touted in recent months as a leading beneficiary of the global demand. 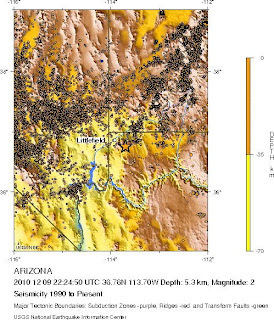 We had a small, magnitude 2 earthquake on Thursday afternoon in northwest Arizona, not far from the borders with Utah and Nevada. It appears to be part of the activity associated with the Intermountain Seismic Belt. A recent post on the blog Point Source identified my blog as one of only a handful of blogs by government scientists he could find. He asked the questions: What do you think about agency blogs being written by scientists versus science writers? Does it matter? 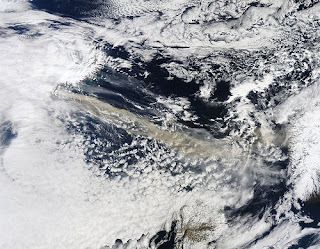 Would you like to see more government geoscientists blogging? 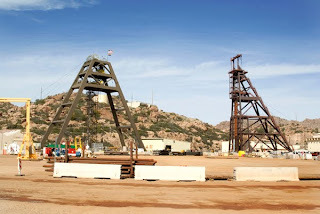 American Bonanza Gold is getting ready to begin mining at the Copperstone gold mine in La Paz County near the California border 10 miles north of Quartzite, that previously produced from 1987 to 1993 under ownership of Cyprus Minerals. 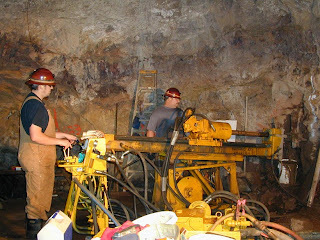 While Cyprus mined by open pit, American Bonanza plans to go underground [right, credit American Bonanza Gold] with a mining plan they say will create no new surface disturbance. 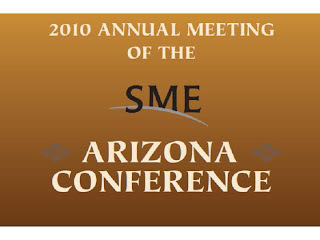 Company geologist Joe Fabrize provided an update at this week's SME Arizona conference in Tucson. Joe said that although Cyprus mined 50 million tons from the pit, American Bonanza calculates 5 million tons of ore remaining based on the 600 new core holes they've drilled to add to the 400 drilled by Cyprus. AB plans on partially backfilling the existing pit with waste rock from the new underground mining. And because the deposit is an oxide, there will be no acid mine waste and no need for cyanide for a leach pad. Instead they will use a gravity and flotation process to recover the gold. The company expects to recover 46,000 ounces of gold per year for the first three years, eventually recovering 231,000 ounces total, with a capital cost of $17.8 million. They recently bought a near-new mill from Homestake which is being transported to Arizona now. In 1988, AZGS published a report on the geology of the Copperstone mine in our Field Notes newsletter, authored by Jon Spencer and John Duncan of AZGS and William Burton of Cyprus. They reported that the deposit occurs along a detachment fault, which was a still relatively new concept then. Jon told me today that the Copperstone deposit may be the largest gold deposit in the world that occurs in such a geologic setting. The scientific debate over last Science article on the discovery of bacteria that consume arsenic to build their DNA, has gone viral with harshly worded criticism's soaring around the blogosphere and into major public news media. Three ASU researchers are co-authors on the study, which has drawn world wide scientific and public attention, much of the latter confused over the nuances of the study. But critics are blasting the techniques used in the study and NASA for hyping the story in a way that fueled the misperceptions. This is turning into a major imbroglio. Last week's NASA press conference is posted on YouTube. The Politico.com web site got a draft version of a proposed omnibus bill that the lame duck Congress could vote on this year. Politico says the bill includes a "national volcano alert system and language allowing a controversial Arizona copper mine" the latter being the land exchange needed for the Resolution copper mine near Superior to go forward [right, lands involved in the Resolution Copper exchange]. These "measures are two of the dozens of bills that Democrats may include in a massive omnibus that would create a host of new national parks, monuments and wilderness areas and pave the way for dozens of Western water projects." 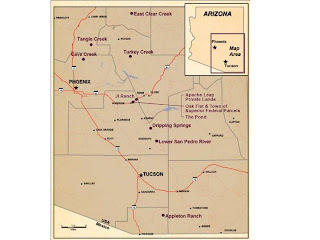 Politico says of the Resolution land deal, "Backed by Arizona Republicans John McCain and Jon Kyl, it would allow Resolution Copper to exchange the land surrounding its proposed mine site for the company’s private holdings in the area. An earlier version of the legislation would have directed the Interior Department to make the exchange, but the Obama administration opposed that version and a subsequent committee compromise gives Interior final say on whether it goes forward." They say Republicans are lining up against the omnibus, which is described as the Democrats best chance of getting legislation through before the new congress next year. Legislation that would allow Western states receiving money from an abandoned coal mine cleanup fund to spend it on gold, copper and other hard-rock mine sites. The bill targets Western states that have no more abandoned coal sites but still contribute to the cleanup fund through taxes on coal production. The Obama administration has opposed versions of the measure in the House and Senate, as it instead wants to cut off payments to the Western states and use the revenue to pay down the deficit. The 2010 (28th) American Mining Hall of Fame Annual Awards Banquet and Fundraiser was held in Tucson on Saturday night with a capacity crowd of 500+, the largest in memory. 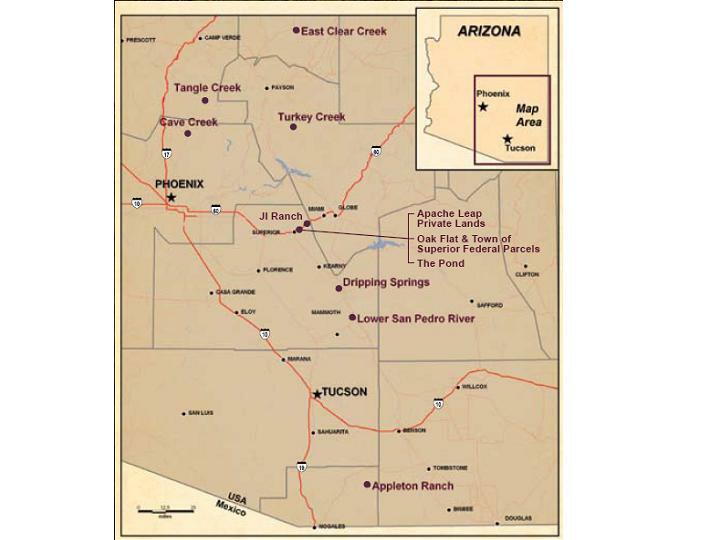 Richard Adkerson, CEO, Freeport-McMoRan Copper & Gold Inc.
J. Parke Channing, Arthur C. Daman, Charles F. Park, Jr.
Two presentations on Monday at the SME Arizona Conference in Tucson on the status of the Curis Resources in situ recovery copper project in Florence [right, location map. Credit, Curis Resources] described a 14 month long test set to begin in 2011 to evaluate the process before starting full production in 2013. Daniel Russin with SRK Consulting offered a geologic overview of the deposit which consists of 62 million year old copper porphyry intruded into Precambrian quartz monzanite. Porphyry dikes were subsequently broken up and offset by Basin and Range faulting. The oxide zone is dominated by chrysocolla, with the sulfide zone dominated by chalcopyrite. The measured and indicated reserves total 390 Mt of 0.336% Cu. Mel Lawson with Curis said they expect to drill 2,400 wells (injection and recovery) over the life of the project, with each well having about a 6-year life cycle. He projects production of 76-86 million pounds of pure CU cathodes per year, which he says bring 5-8% price premiums over LME spot prices. Ironically, Curis bought the property from a real estate developer in 2009 when the down turn in the housing market wiped out plans to build on it. Curis just went public on November 24 and Lawson said the stock was oversubscribed. The companies forecasts capital costs of the mine at $238 million. 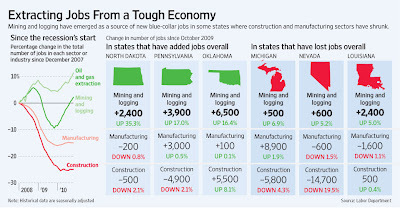 Jobs in mining and oil & gas are showing increases nationwide compared to 3 years ago before the recession hit, while construction and manufacturing are 15-25% below their comparative levels, according to a report in the Wall Street Journal [right]. The paper reports that "Nationwide, there were 216,900 mining jobs in October, excluding oil and natural-gas drilling, up 12,600 from a year ago and just below the pre-recession peak. Natural-gas and oil extraction have added about 10,000 jobs over the past year and are well above their employment levels in December 2007, when the recession began." Figures were not presented for Arizona but mining salaries are significantly higher than average wages in the state. And at yesterday's SME Arizona conference many companies talked about the number of both temporary and permanent jobs are being created in mining projects across the southern half of the state. 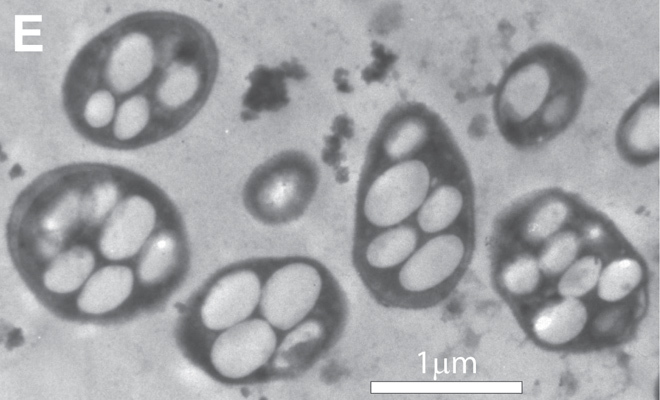 A supergene copper deposit near Resolution? Graduate student Shari Houston from New Mexico Tech told the SME Arizona Conference yesterday in Tucson that her research found evidence for supergene processes in the Resolution copper deposit near Superior [right, #9 and #10 shafts, East Plant. Photo credit Resolution Copper] but no evidence of supergene enrichment actually occurring. If no enrichment is found there, it could mean there is one or more lateral or distal supergene deposits that are yet undiscovered. Shari's concluded that the Resolution ore body has a leached capping zone but it is hematite-goethite rich, suggesting the former presence of chalcocite as an early supergene enrichment mineral. Her work is a wonderful example of geo-detective work. Given the size of the Resolution body, this news will get the attention of the exploration community. 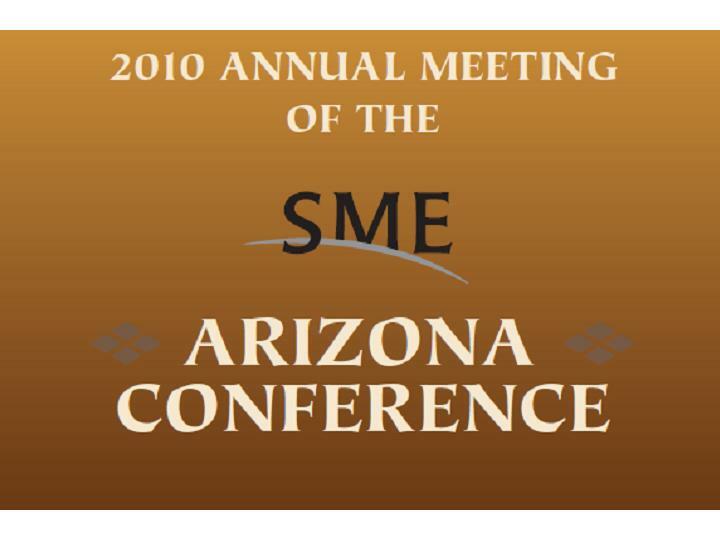 The 2010 SME Arizona conference in Tucson today attracted 380+ attendees, at least 10% more than last year and Saturday's Mining Foundation of the Southwest annual awards banquet drew an amazing 500. There is a renewed optimism in the Arizona mining community, with numerous large projects moving forward but many reports of larger reserves that previously reported. Companies also routinely talked about the investments they are making in the local economy and the jobs they are creating. I hope to blog about individual presentations from the SME meeting over the next few days but a few things jump out - the possibility of an additional undiscovered deposit near the Resolution copper deposit, the progress of the Florence in situ recovery copper project, the incredible increase in resources at Freeport's Tenke-Fungurume complex in Democratic Republic of Congo. I just had a chance to look at a few examples from a new book on repeat photography in commemoration of the 50th anniversary of the U.S. Geological Survey’s Desert Laboratory Repeat Photography Collection – the largest archive of its kind in the world, according to an announcement from the USGS. 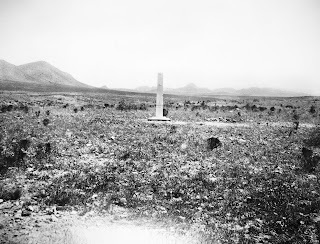 [left photo: Boundary Monument 75E, Southeastern Arizona - 1893: A view of Monument 75 looking west toward the San Bernardino Valley and the Perilla Mountains. Cerro Gaillardo stands to the left of the monument. 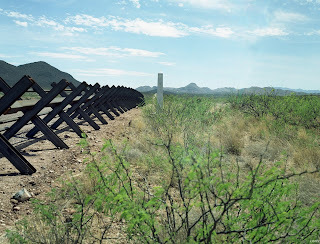 The vegetation is Chihuahuan Desert Grassland that has a scattering of shrubs within it. The smaller shrubs are probably broom snakeweed; the larger shrubs are velvet mesquite. Elev. 4,000 ft. Photo by D. R. Payne. “Repeat Photography: Methods and Applications in the Natural Sciences,” is also a review of the state-of-the-art for this well-established technique. The scientific technique of taking photographs from the same vantage point at different times is one of the earliest methods for documenting landscape change, getting its start with the monitoring of glacier retreat in Europe in the late 19th century. This book explores the broad technical and geographic scope of the technique, focusing particularly on the intertwined influences of climatic variation and land-use practices in sculpting landscapes. It illustrates the wide scope of application, examines some new techniques for acquiring data from repeat photography, and demonstrates that this remains a valuable and cost-effective means for monitoring future changes, particularly in developing countries. 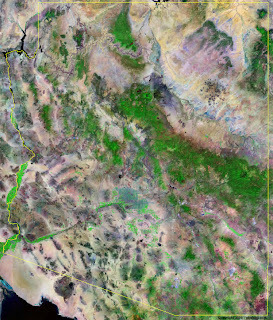 A product of the USGS’ project on landscape change in the southwestern United States, based in Tucson, the book was edited Robert H. Webb, hydrologist; Diane E. Boyer, photo archivist; and Raymond M. Turner, botanist. Published by Island Press, it includes contributions by several other USGS scientists as well as other practitioners of repeat photography from around the world. "Our nation’s state geological surveys serve a fundamental role in resolving many of the important issues facing our world today and in the future," according to a study carried out by the American Institute of Professional Geologists (AIPG) and issued as a white paper entitled, "Importance and Future Roles of State Geological Surveys." State geological surveys are vitally important to the economy of each state and to the nation. The information they collect and disseminate is used by other state agencies, by consultants, industry, developers, and the public as critical input in local and regional economic development plans, resulting in an economic advantage to the state. The information is essential for the responsible and sustainable development of a state’s mineral, energy, and water resources, safe development and modernization of infrastructure, protecting the public from losses due to geologic and natural hazards or anthropogenic hazards, and the wise use of the state’s natural resources for tourism and recreation. All of these are significant to the economy of the state and to the nation by providing jobs and various revenues, preventing or minimizing loss due to hazards and natural disasters, and by increasing our understanding of the earth’s resources and the need for sustainable use. damaged infrastructure, including bridges, campgrounds and trails vital to tourism. The main route leading into Supai Village is impassable, and severe damage to the trail prevents the delivery of mail and supplies into the village and threatens the financial livelihood of the Tribe. These impacts have caused the indefinite closure of Havasu Canyon to tourism. natural flow through the area. Tribe. The total estimated impact to infrastructure is $1,630,000. Repairs to homes, businesses and private roads are not an eligible Public Assistance cost. AZGS has posted 40 years of our quarterly newsletters Arizona Geology and Fieldnotes online starting with volume 1 from 1971. Thanks to Extension Service chief Mike Conway and Web Master Pam Barry-Santos for pulling together this great digital collection. 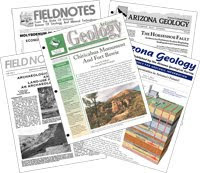 The archive includes 40-years of Fieldnotes (1971-1988) and Arizona Geology (1988-2010) newsletters, comprising more than 150 issues. The articles are arranged by year/volume/issue and include the title of the lead article of each issue. Article topics range widely from geologic hazards – earthquakes, earth fissures, debris flows and floods, volcanism, and landslides – to economic minerals – copper, gold, manganese, uranium, oil & gas, and industrial minerals – to volcanism, geothermal resources, breccia pipes, and the origin of Grand Canyon. Newsletters are written for consumption by the general public as well as the geoscience community. And here is a sampling of titles through the years. Early and recent issues frequently include columns reporting on seismicity, oil and gas updates, and natural hazard events from across the state. 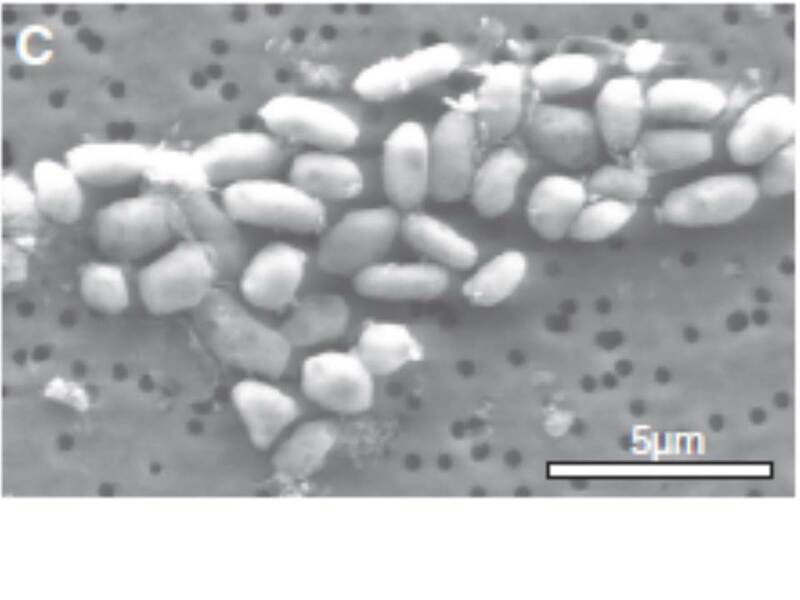 Advance notice of the NASA press conference today about the discovery of a terrestrial bacteria with arsenic in place of phosphorus [right, credit AAAS] set off worldwide speculation, rumors, and wild stories about alien life. The actual results are coming out in tomorrow's online issue of Science Express, in a paper co-authored by ASU researchers Ariel Anbar, Paul Davies, and Gwyneth Gordon. 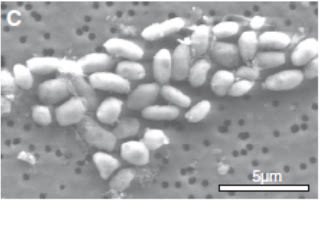 They found a bacterium in Mono Lake that can incorporate arsenic in place of phosphorus into its DNA. As I read this, all known life on Earth depends on 6 key elements - carbon, hydrogen, oxygen, nitrogen, sulfur and phosphorus. We've never seen life that is based on something else. The discovery opens the possibility of a much broader range of life forms across the universe. Read the post at Knight Science Journalism Tracker to get a sense of how the feeding frenzy grew as bloggers, tabloid reporters, and even the mainstream press scrambled to embellish speculation. Expect to see the late night jokes come pretty quickly: Arsenic life forms are okay but would you want one to marry into the family? Will candidates for president have to offer DNA tests along with birth certificates to prove not only are they American but also human? What happens if the bacteria are declared an endangered species - do we fill lakes with arsenic for them? 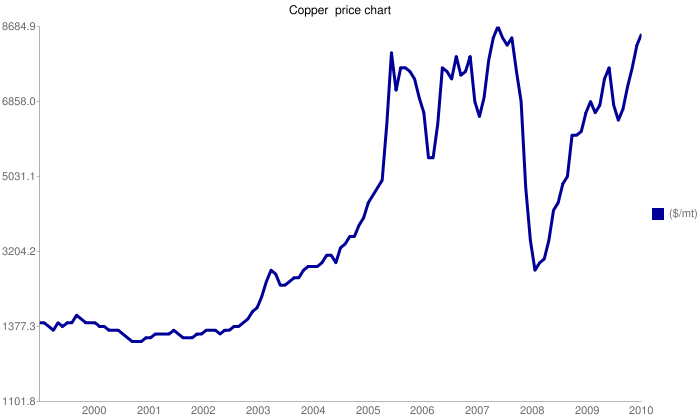 Copper at $5 per lb by 2013?